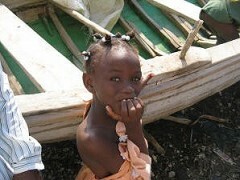 For the most current info on Haitian hearts, please check out and like our Facebook page below. Since 1995, Haitian Hearts has brought more than 200 patients to the United States and helped thousands more in Haiti through our general medical work in clinics and hospitals. And for each individual Haitian Hearts has helped, we know countless others have benefited from the improved health of their family member, friend, or neighbor. Please take a moment to learn about our work and the beautiful children we serve. We’d love you to join us in this life-saving adventure. 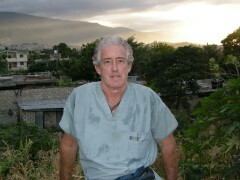 Dr. John writes about his experiences in Haiti at his blog Dispatches from Haiti in the Peoria Journal Star. 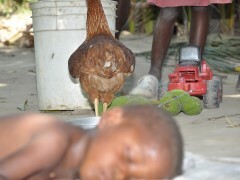 For some history about Haitian Hearts, visit Maria Carroll's blog, Live from Haiti. Haitian Hearts has brought more than 200 children to the U.S. for heart surgery since 1995. Haitian Hearts is a 501(3)c organization. 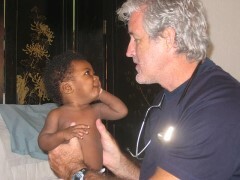 Haitian Hearts works with clinics, hospitals, and orphanages in Haiti offering basic medical care.